Dubbed the "Venice of the Alps", Annecy is a well kept secret amongst locals and connoisseurs alike. It's unmistakeable mountain fringed lake, crystalline waters and pastel hued old town are what makes this city a true jewel of the Haute-Savoie region in France. What's more, there is no bad time of year to visit. It is as quietly beautiful in winter as it is refreshingly lively in summer. The short 45 minute drive from Geneva makes it my favourite staycation locale. If you happen to be in the area, or are after a little something different on the French trail, look no further. Here's a little taster of what the city has to offer. Beautifully framed by the surrounding mountains, lake Annecy has much to offer. Hop on a bike for a tour of the lake, spend the day on the water or lounge leisurely at the beach; whatever your choice, you can't go wrong. Cycling, paddling, and swimming are all great options. So is having a picnic in the lakeside European gardens. From the strikingly limpid canal and it's gently shaded banks to the flower studded pastel houses in the old town, it's easy to see what makes this city so romantic. Partner or not, head towards the lake and the aptly named Pont des Amours (Love Bridge) to take in the stunning scenery. Though some have tried to emulate a certain Parisian bridge by putting some locks on the frame, no such fastidiousness is required here as legend has it that one kiss on the bridge will seal your love forever. Short of that, you'll at least have enjoyed a moment of simple bliss in an underrated French spot. For those of you with a permit, and those who like myself have yet to do so, there's a range of boats on offering for an afternoon on the lake. Everything from your humble pedal boat to your 10 seater power boat can be rented anywhere between 30 minutes and a few hours. The beauty of this place is that the water is clean and clear so you can see the bottom, even at a distance, and with that, have no hesitation about going in for a quick dip. When hunger strikes, stop at Les Palettes, an original café restaurant concept store. Inspired by American coffee shops, it offers a selection of salads and avocado toast treats, including some gluten free options. And once you're done, make sure to check out the store part, where you might find a little something to add to your summer wardrobe. Little boutiques are scattered around the old town, while the more traditional high street stores can be found around Rue Carnot and the Courier mall. If you only have time for one, check out Biutiful, where you can satisfy your every craving. With a curated fashion, beauty and lifestyle offering, this store is one not to miss. Though snow can be expected in winter, it can get very hot in the summer months. 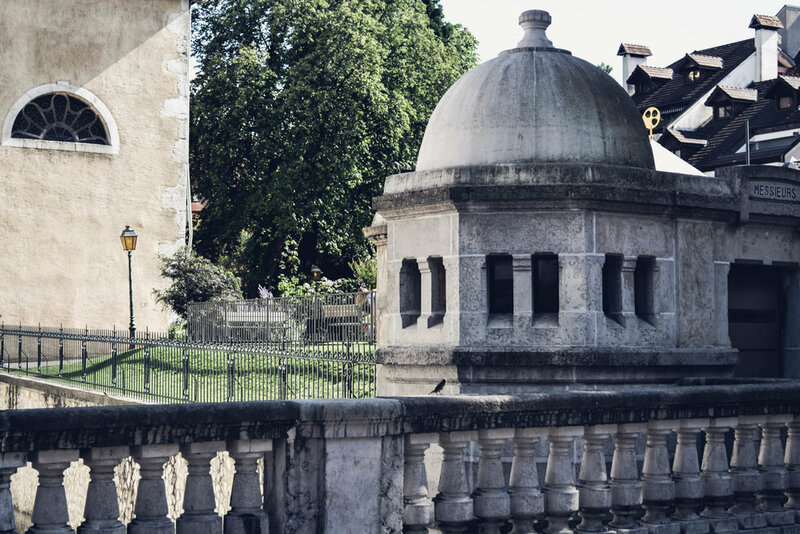 Admittedly Annecy is not a coastal city, but with the lake being such a big part of its identity, and beaches aplenty, don't forget to pack swimwear, light fabric flowy dresses and skirts and comfortable sandals to wander around the cobbled streets of the old town. And whilst you're there, head up to the castle turned museum, where you can check out the latest exhibits, explore the grounds, revel in its 13th-16th century architecture and enjoy the stunning views.